Our design and build scheme has proved popular with our customers and we provide an extensive range of landscaping to suit your requirements. If it’s a block pave driveway to a natural stone patio area, C J Firminger can provide you with an extensive range of quality products to suit your taste and budget. 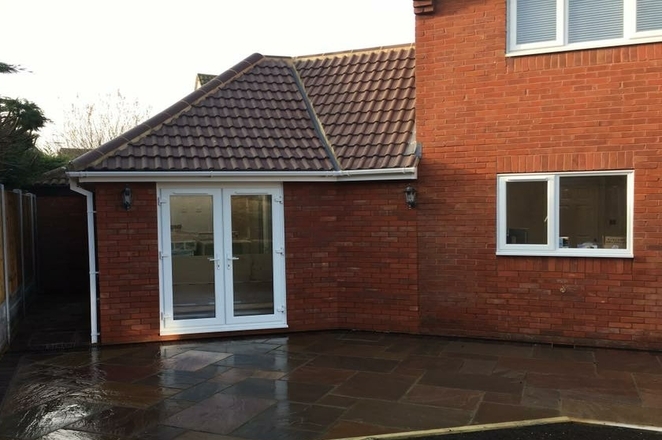 Extension work is our specialist field with over 30years experience working with people in and around their homes, extending properties to meet requirements. C J Firminger can supply and fit both replacement windows and Conservatories/Garden Rooms to your property at very competitive prices. Making use of a dead space in the loft could provide you with that extra living space without taking up garden space. 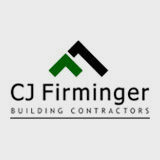 C J Firminger offer the complete building service and can carry out all building works. Let us know how we can help. For more details you can contact us. C J Firminger Building Contractors provide the complete service for all of your Building and Landscaping requirements from design to completion. Backed by 30 years experience our company has always based itself on providing its customers with a quality, reliable and tidy service no matter what size the contract is. From a replacement roof tile to a custom built property, C J Firminger provides the same level of service, giving our company a fine reputation for quality and service in the local area and a customer base we are proud of. Over the years the company has grown steadily, becoming one of the leading Building companies in the area. 90% of our work comes through recommendation and we employ local experienced staff, all trained and uniformed by the company. All of our work is fully guaranteed, and we have a Public Liability and employer’s liability cover in place to £ 10,000,000.00. “I cant thank Chris and his team enough for building us our dream extension. The work was carried out to a high specification and the job left neat and tidy every day & we were kept informed during the contract of work progression. We will be recommending C J Firminger to our friends & family”. I had a broken ridge tile on my roof and contacted several local builders to come round and give me an estimate. C J Firminger were the only firm to contact me back, and carried out the job within a few days. I will certainly recommend C J Firminger again. Thank you.